Eden’s Fireworks Foundation is a non-profit organization dedicated to assisting families dealing with and raising awareness and funds towards better treatments and a cure for high-risk neuroblastoma and other pediatric cancers. Our primary goal is to love on children and families fighting pediatric cancer. When people are loved, they can hope. 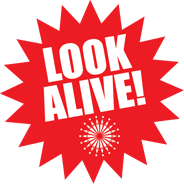 They can look alive. They can do things they never thought possible. 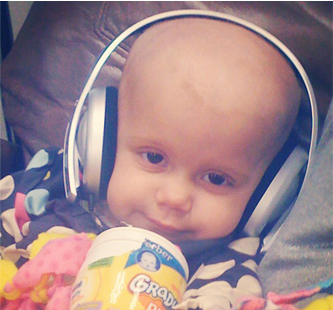 Our secondary goal is to share Eden’s story and to put a face to childhood cancer. It is not as rare as the world wants to think. Each year in the U.S. there are approximately 13,400 children between the ages of birth and 19 years of age who are diagnosed with cancer. About one in 300 boys and one in 333 girls will develop cancer before their 20th birthday. In 1998, about 2500 children died of cancer, thus making cancer the most common cause of death by disease for children and adolescents in America. * While survival rates of children with a cancer diagnosis have increased since 1970, the five year survival rate for many childhood cancers, including that for high-risk neuroblastoma, is very low. In raising awareness, we hope to raise funds that will go towards research for better pediatric cancer treatments and, ultimately, a cure for childhood cancers, especially for high-risk neuroblastoma. Childhood cancer research is severely underfunded. Each year, Congress approves the amount of money that the National Institute of Health in Bethesda, Maryland will receive for research initiatives. Cancer was funded in 2009 at a level of approximately $5.6 Billion. Estimates put childhood cancer research funding as low as $30 million annually. To put this figure in perspective, breast cancer with its overall 5 year survival rate of close to 90% received $843 million in Federal research funding in 2007. This was in addition to the funds raised by breast cancer organizations through their pink ribbon campaigns and private donation. * We want that to change.